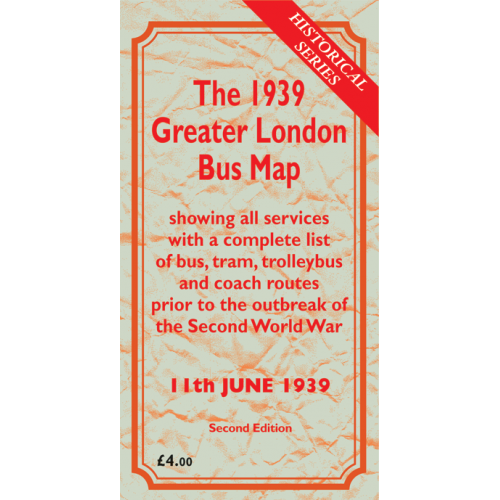 The 1939 Greater London Bus Map is dated 11th June 1939 and shows all services with a complete list of bus, tram, trolleybus and coach routes prior to the outbreak of the Second World War. This is a Second Edition version which contains new information that has come to light since the publication of the original versions. Based on the same style of map as the current issue, the historical maps will be of particular in.. 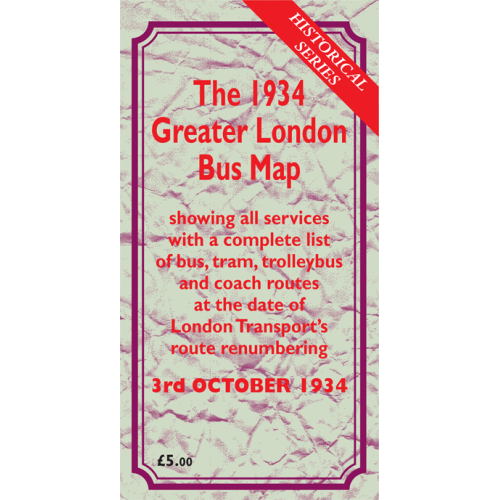 The October 1934 Greater London Bus Map is dated 3rd October 1934 and shows all services with.. 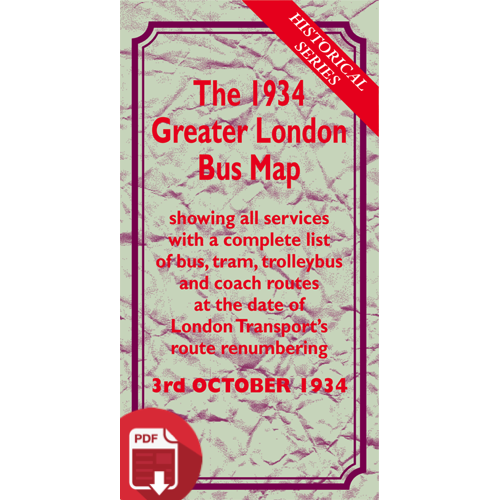 The October 1934 Greater London Bus Map is dated 3rd October 1934 and shows all services with a c.. The 1939 Greater London Bus Map is dated 11th June 1939 and shows all services with a complete li.. 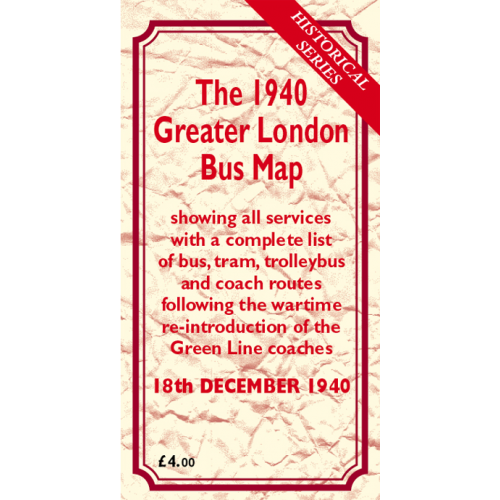 The 1940 Greater London Bus Map is dated 18th December 1940 and shows all services with a complet.. 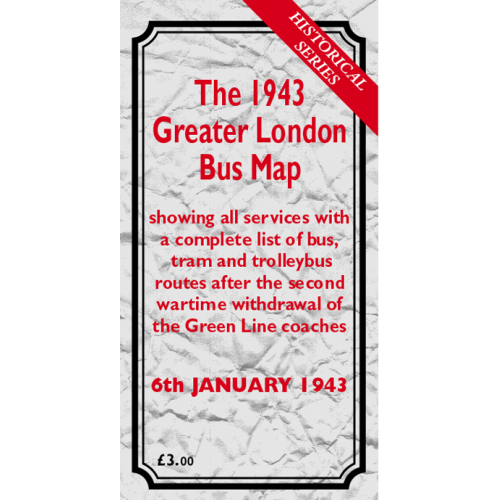 The 1943 Greater London Bus Map is dated 6th January 1943 and shows all services with a complete .. The 1946 Greater London Bus Map is dated 26th June 1946 and shows all services with a complete li.. The 1952 Greater London Bus Map is dated 6th July 1952 and shows all services with a complete lis.. 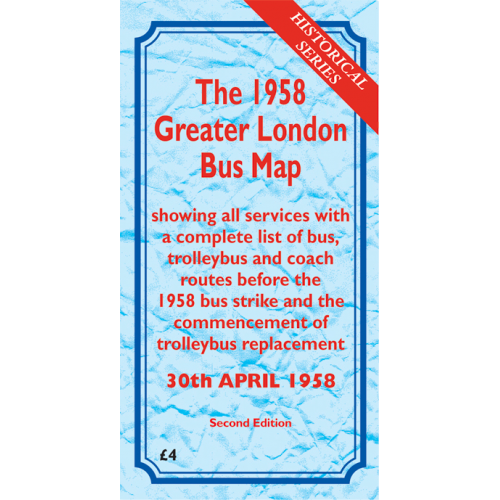 The 1958 Greater London Bus Map is dated 30th April 1958 and shows all services with a complete l.. The 1964 Greater London Bus Map is dated 19th July 1964 and shows all services with a complete li.. The 1970 Greater London Bus Map is dated 1st January 1970 and shows all services with a complete .. 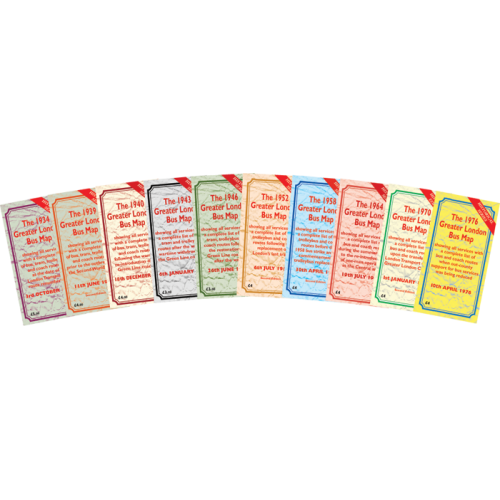 The 1976 Greater London Bus Map is dated 10th April 1976 and shows all services with a compl.. The 1976 Greater London Bus Map is dated 10th April 1976 and shows all services with a complete l..